Last week at SC17, ThinkParQ announced immediate availability of the BeeGFS version 7.0 release candidate. 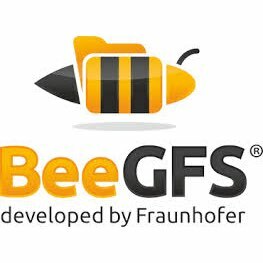 While previous versions of BeeGFS are already running on systems of all kinds and sizes around the globe (including burst buffers, hyper-converged setups and of course dedicated high-performance enterprise storage), this new major release introduces several features that were desired by the BeeGFS community. The new storage pools feature combines different types of devices (such as SSDs and HDDs) and allows users to control placement of their data. With this new level of control, users can have their current project pinned to the SSD pool to have the full performance of an all-flash system, while the rest of the data resides on spinning disks, where it also can be accessed directly – all within the same namespace and thus completely transparent for applications. Another new feature is metadata event logging. It enables capturing of information about which files have been newly created, removed or modified. This can be useful to avoid crawling of large file systems in various cases, especially for backups. And the new BeeGFS performance monitoring service (beegfs-mon) adds BeeGFS performance and usage information to a time series database, which makes it easy for a sysadmin or a user to see how the system or the job performed. From the time series database, the collected data can also easily be integrated into other monitoring solutions, such as Grafana. As always, the new BeeGFS release supports a wide range of Linux distributions and platforms, including x86, ARM, OpenPOWER and more. Upgrades to the new release for existing users are trivially simple, as sysadmins just need to update the BeeGFS packages to the latest version.